Human rights defenders (HRDs) working in eSwatini (formerly known as Swaziland) operate in difficult conditions. Freedom of association and assembly are restricted, especially in regards to government opposition protests or gatherings. Freedom of expression is extremely limited, and HRDs are subjected to abusive surveillance, and unlawful home and office searches. 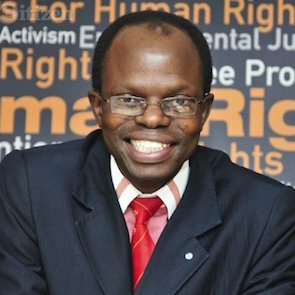 The constitution prohibits arbitrary arrest and detention and recognises freedom of association, yet HRDs, especially those working for democracy, are often labelled as terrorists and arrested. Once arrested, HRDs are kept in sub-standard prison and detention conditions that are overcrowded with inadequate sanitary and medical care. They are often not informed of charges against them, or held without charge. Journalists are not allowed to publish news on issues dealing with defence, public safety, public order, or public morality, although many journalists avoid these subjects by practicing self-censorship in order to conduct their work. HRDs working in the media and journalism are at risk of judicial harassment, arbitrary arrest, physical attacks and other forms of pressure for their legitimate work. Moreover, the government monitors online communications and activity which further impedes the work of HRDs in eSwatini. HRDs working for LGBT rights are under extreme pressure, both legally and culturally. Discrimination against the LGBT community is widespread, and being LGBT is viewed as neither Swazi nor Christian. On several occasions in 2015, the Swaziland government said that LGBT acts and relationships were illegal, however, they did not bring any cases to court. In face of the obstacles, many LGBT advocacy organisations have trouble registering with the government, and they choose not to widely publicize their work.